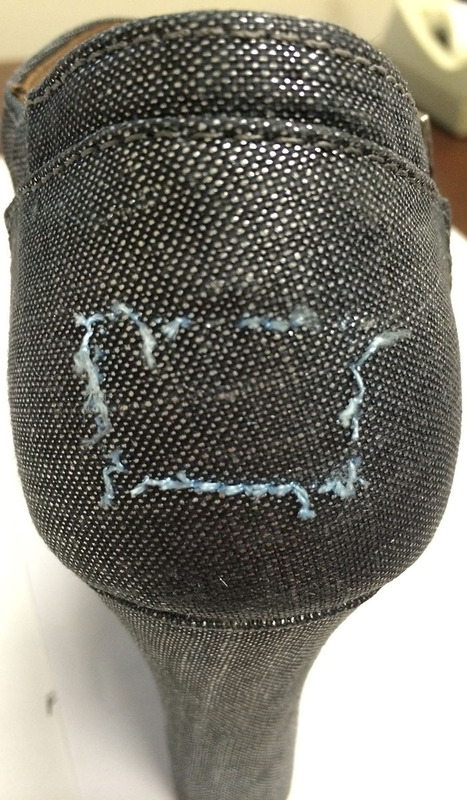 Looks Good from the Back: Tutorial: How to Remove the Tag From Your TOMS. 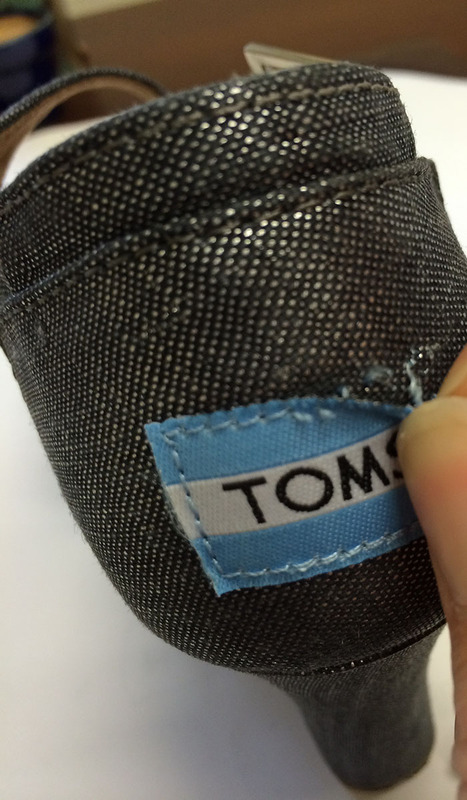 Tutorial: How to Remove the Tag From Your TOMS. You know that hang tag that comes on a Coach bag? It's the first thing I remove after I cut the price tags. The huge blingy metal tag on a Michael Kors bag? Same thing. I just hate feeling like a walking advertisement for the things I buy, which is why when I bought my TOMS wedges, the ugly blue labels on the back had to go. HAD. TO. GO. 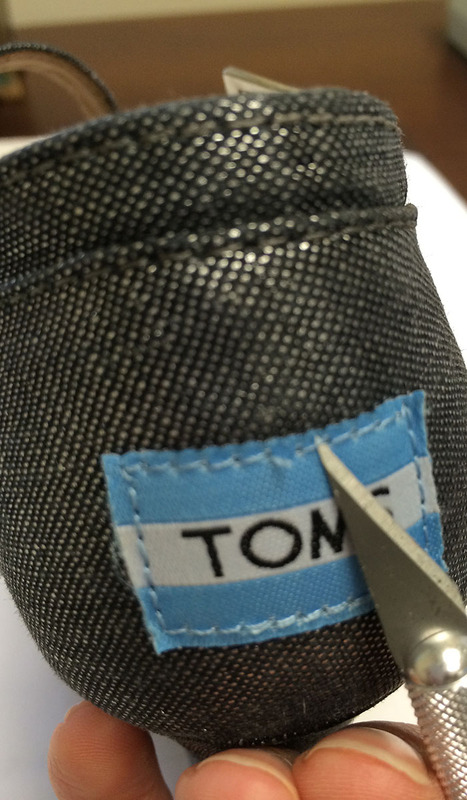 Step 1: You need a TOMS shoe and a super-sharp little pointy knife tool. Check. Step 2: Start cutting the individual stitches carefully with the pointy point of your sharp knife tool. Step 3: Get impatient and start tugging on the label to loosen up the stitching. 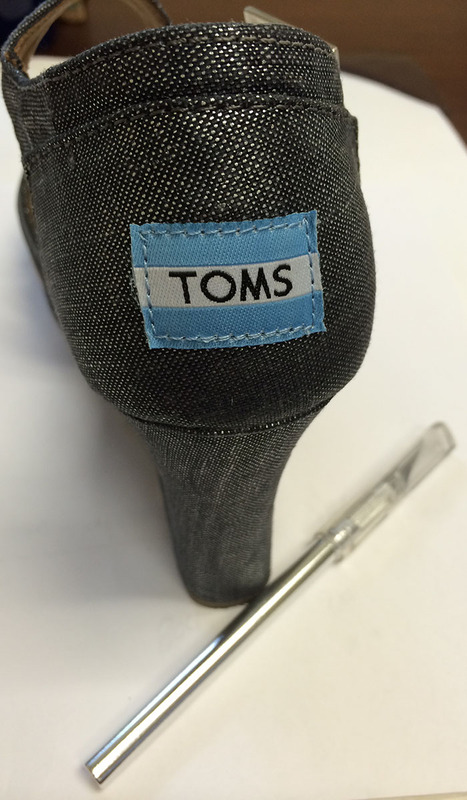 Step 5: Admire your clean-plucked and label-free TOMS shoe! 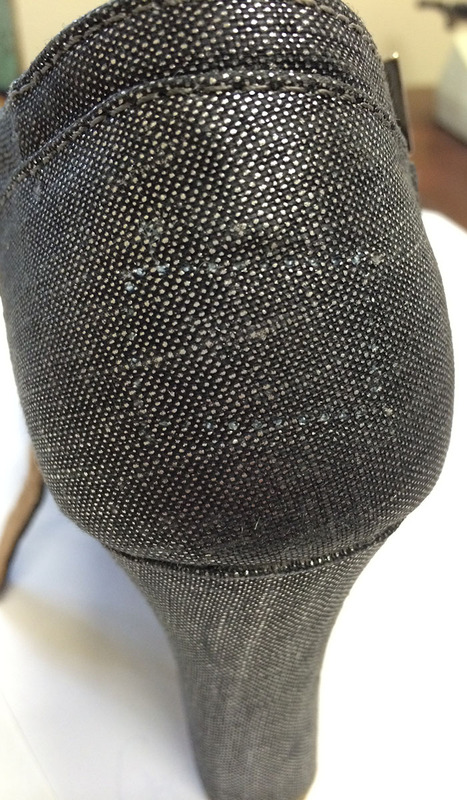 Worry that TOMS will send you a cease-and-desist. I know, you could have figured this out all on your own but I already took the photos so I figured I'd go ahead and post them. It's so easy! Get to it, kids. It's like a fun craft project only not really fun or crafty! Looks good! For what it's worth, a seam ripper has a cutter-edge on the inside hook, which will get you the exact same results--no tugging necessary--as your Exacto knife. Maybe even easier, since the hook is made to nestle under stitches. Oh dang, I had no idea! I stand corrected. And now I want a seam ripper. Love it! So many times I've avoided Toms because of that ridic labeling! I never thought to remove it! Fantastic! Mission accomplished! Thank you for sharing this! BUY THIS (Because I Can't): Shopbop Sale. Adrien: Shorts! Weekend Outfits! Birthdays! Beauty Stuff Talk. Some More. Adrien: Summer Budget WAH WAH.